A total of 442 kilometers of roads will be constructed under the first phase of the two billion Sinohydro Agreement between government of Ghana and the Chinese company at the cost of $646 million, Mr Kwasi Amoako-Attah, the Minister of Roads and Highways, has said. He said 70 per cent of the projects under the Sinohydro Bauxite Barter Arrangement has been allocated to the Roads and Highways Ministry for execution, which would involve the construction of roads, interchanges and bridges to ease traffic congestion and ensure free movement of goods and services. He said the second phase of the projects under the Sinohydro Agreement would start in June, adding that officials from Sinohydro and Ghana Highway Authority were touring the regions to familiarize themselves with the areas where the projects would be implemented. Mr Amoako-Attah answered questions on wide range of issues about his Ministry, noting that, government has paid GH¢1.9 billion to road contractors since it assumed office in 2017, with outstanding debts of GH¢3.94 billion being owed contractors. He said government is committed to pay the outstanding arrears to the contractors and complete all the abandoned road projects left by the previous regimes, saying; “If you start any road project and you don’t see its completion then it is useless”. “We will adopt smart, progressive and innovative methods to improve the road infrastructure in this country as well as contribute to the socio-economic development of our people. “My Ministry’s vision is to build a Ministry of Roads and Highways that can honour its financial obligations and where value for money is not compromised. “I want to assure this nation that as the mangers of the roads sector we will do everything possible to deliver to the proud people of this country and build healthy infrastructure that is comparable to any infrastructure in the world and give value for money,” Mr Amoako-Attah emphasised. The Minister outlined many projects being undertaking by government to improve socio-economic activities and mentioned the construction works at the oil and gas enclave in the Western Region totalling 53km, which is 99 per cent complete. 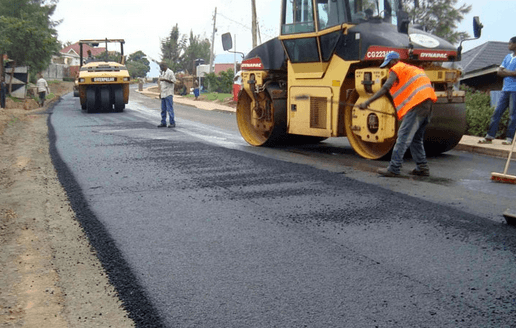 He said construction works was ongoing on over 30-kilometre Elubo and Half Assini Town roads to improve socio-economic activities in the area. Mr Amoako-Attah said the Ministerial Monitoring Committee has visited 178 projects ongoing across the country to ensure that contractors execute projects according to specifications and ensure value for money. The media encounter enabled the Minister to render account of his stewardship for the past two years and provide useful information on ongoing projects. It also enabled the media to ask probing questions and engage in positive dialogue.